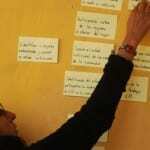 Home » Resources » Theory of Action/Theory of Change » Theory of Action/Theory of Change – From theory to practice…. Much of our work as evaluators and capacity builders integrates an approach called Theory of Action (ToA). ToA is similar to Theory of Change (ToC), and in practice there is often little difference between the two in implementation. Generally, ToA provides some boundaries to the process and focuses on an organization, initiative or program’s particular role in making change, while still asking some of the harder, deeper questions about how change happens, to be most effective. In our work, we’ve modified and evolved the ToA/ToC process to suit the needs of the groups we work with and have integrated other tools, particularly to build on ToA for action planning. (See Basic Steps and Tips and Lessons Learned). While we found discussions on the logical linkages between activities and shorter and longer term outcomes as well as the broader vision to be of value, it is often challenging for organizations to embed the ToA in their organizational planning and reflection practices without support and guidance. Getting participants to take active roles and even leadership in the process can be helpful. We designed this facilitation guide to helps groups to lead their own ToA processes. While at some point ToA is best facilitated by an external consultant who understands the process well, the guide can help groups get started using easy to follow steps. In addition, the guide can support initial ToA meetings in distant locations that can then feed into larger ongoing organizational processes for multinational or multi-site organizations or collaborative initiatives aiming to develop an meta level or umbrella theory. 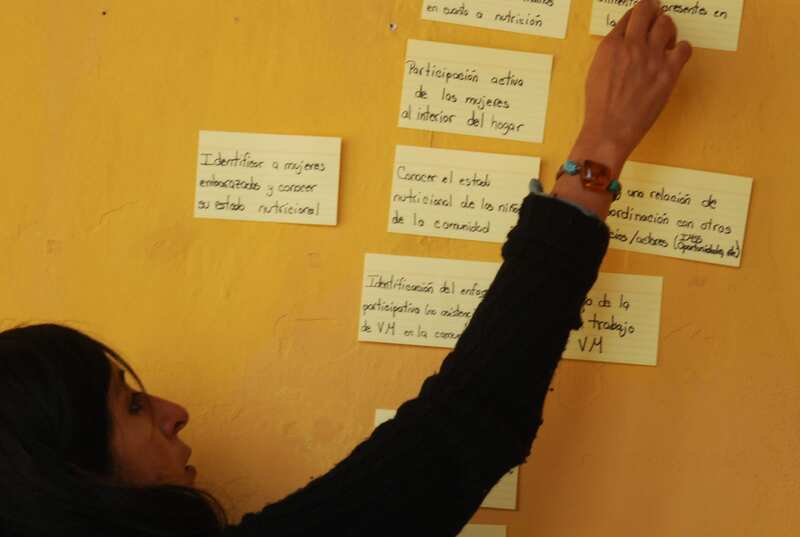 We also describe a ToA approach for a group interested in linking directly to action planning, and created an earlier post on using ToA as part of a participatory assessment for a donor. Earlier post – how we used ToA as part of a participatory assessment for a donor. A few Resources on Theory of Change.